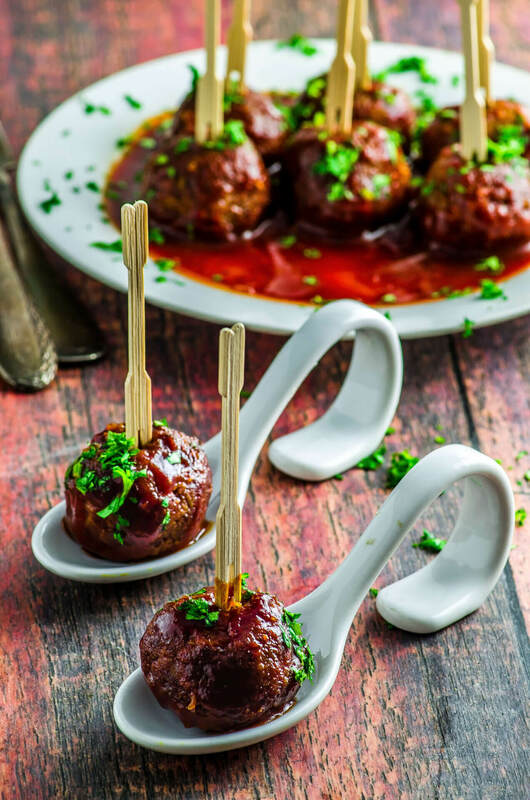 From football parties to holiday cocktail hors d’oeuvres, these little guys are the perfect small bites that are packed with flavor! Serve with a tangy barbecue sauce to bring out the sweet potatoes and they’re sure to disappear faster than any other appetizer. Preheat the oven to 350F. Coat a mini muffin tin generously with cooking spray. Shred the sweet potato and squeeze the excess water out of it. Place it in a large bowl and set aside. Working with one tablespoon and a half of mixture at a time, form 15 balls (we like to use a small ice cream scoop so they are all even in size). Place them in the mini muffin tin and bake them for 45 minutes. Right before serving, heat BBQ sauce in low heat. Add the veggie meatballs and cook until warm and coated with the BBQ sauce.